(UPM, Helsinki, 22 January 2018 at 11:00 EET) - UPM Biofuels and the Zero Emission Resource Organisation have started cooperation in promoting green shift in the transport and petrochemicals sectors. The work focuses on creating a predictable long term operating environment for sustainable, advanced biofuels to enable climate change mitigation in transport with renewable fuels. 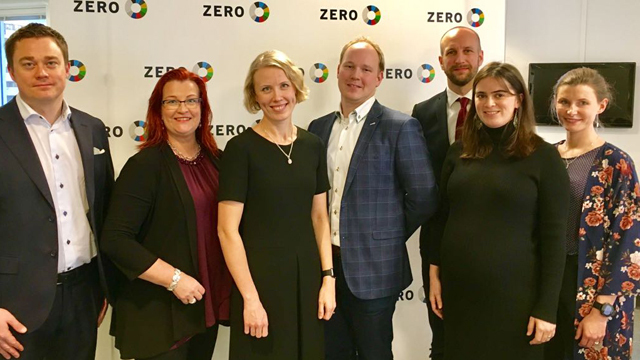 "ZERO is a Norwegian environmental organisation that focuses on greenhouse gas reduction through promotion of new technologies enabling emission-free energy solutions without harming the environment. ZERO and UPM Biofuels share the same vision and therefore we see great value in this cooperation," says Kåre Gunnar Fløystad from ZERO. "The cooperation with ZERO is a great opportunity to jointly promote sustainable low-emission solutions for the transport and petrochemical sectors, and support the transition towards both circular and bioeconomy. Wood-based UPM BioVerno renewable diesel and naphtha are great examples of drop-in fuels replacing fossil fuels and significantly reducing both greenhouse gas and tailpipe emissions," says Maiju Helin, Head of Sustainability and Market Development at UPM Biofuels. "UPM's wood-based naphtha also works well as a feedstock for bioplastics and other biomaterials production." UPM and ZERO started cooperation in Oslo to promote green shift in the transport and petrochemical sectors. UPM's Markku Purmonen (left), Sari Mannonen and Maiju Helin together with ZERO's Kåre Gunnar Fløystad, Anders Tangen, Anne Marit Melbye and Kristin Brenna. There is an urgent need for various climate solutions. Sustainable development is all about gradual change towards a cleaner climate, and renewable sources of energy and sustainable production methods are key in reducing our ecological footprint. As changes in infrastructure, production systems and consumer behaviour are slow, policy support needs to have a clear direction and continuity. UPM is committed to growing its sustainable product offering for various sectors and therefore engages with civil society to promote the change towards environmental friendly bioeconomy.